→Onions How Long are They Good For? Onions may very well be one of the most popular pantry staples. They are found in kitchens across the globe and come in many different varieties. 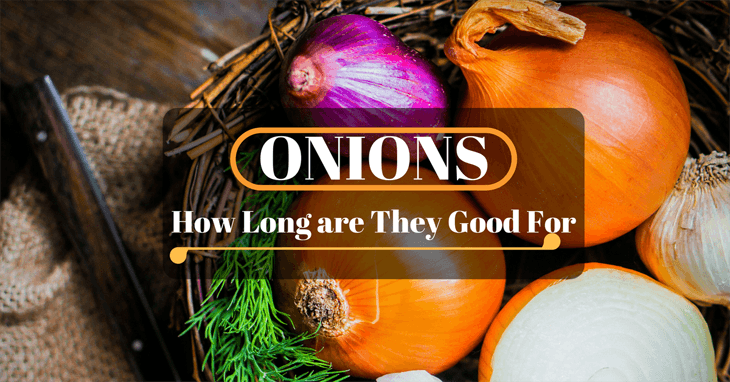 But, as many times as you have purchased and cooked with onions, do you know how long they are good for? It’s time to stop watching your onions rot away on the kitchen counter. Let’s take a look at different types of onions, how to store them, and how long they stay fresh. 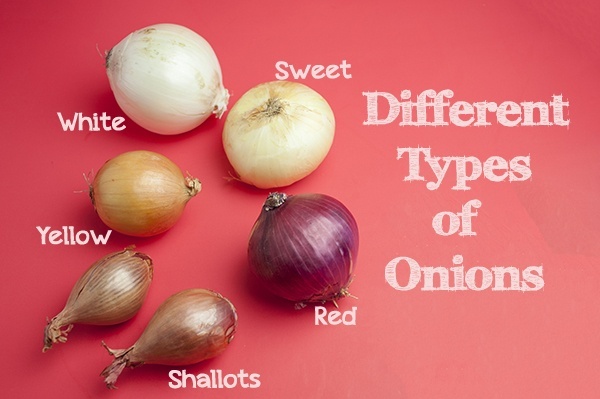 The most common types of onions are what you probably have sitting in your kitchen. There are dozens of different varieties of onion, with most of them being readily available to consumers. The onion isle at the farmer’s market can seem a bit overwhelming, even to experienced cooks. How do you know which onion is best for what you are cooking and which ones aren’t the right fit for individual dishes? A few of the most famous onions used in various ways and recipes include scallions, Vidalia’s, yellow onions, white onions, shallots, and red onions. While this list is a bit long, it is only a glimpse at the many different varieties of onion that are used. They are better known are one of the most commonly used of the onion varieties. 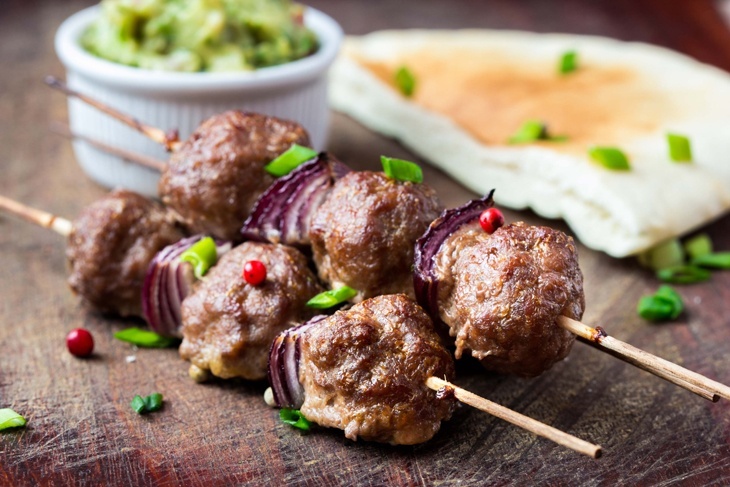 They are extremely versatile and easily recognized by most home cooks. Scallions are long thin onions, with a green pipe-like shape and white bulb at the ends. Scallions are most commonly used in raw dishes but are also great when grilled or used in stir fry. Scallions are on the milder side of the flavor spectrum and bring just enough onion flavor and crunch without being overpowering. Vidalia onions are primarily a yellow onion that gains its uniqueness from the area in Georgia this it is grown. Vidalia onions are one of the mildest onions available. They are incredibly sweet and crisp and are ideal in raw dishes. They also won’t cause as much crying due to its low acid content. Vidalia’s are often only available during peak season, spring through summer, and may not be readily available outside of the southeast. Yellow onions are the most famous onion grown in the US and have a dark, yet, versatile flavor. They range in many different sizes and are extremely popular as a raw onion. They come in many different varieties, and their sweetness is best highlighted when cooked. Yellow onions are suitable for nearly any cooking method or flavor profile. White onions are very much like yellow onions; they have a less sweet flavor but are equally as attractive as a raw eating onion. White onions are commonly used in salsa’s and salads because of their strong but not over-powering flavor profile. Shallots are often found in French dishes and are less popularly used. They are much smaller than other onion varieties of onion. Shallots have a strong onion flavor with a bit of a garlicky taste, making them a great onion option for sauces and marinades. Red onions are one of the most powerfully flavored onions. They tend to be more on the potent, spicy side of the flavor spectrum. They are commonly found in salads, but when cooked they take on a much sweeter flavor. Proper onion storage, for most of us, means tossing them in a basket on the kitchen counter and leaving them there until they are all used or until we notice they have gone wrong and tossed them out. But, is this method an ideal way to keep our onions fresh? Onion naturally has a longer lifespan, longer than most vegetables. Unlike most vegetables, green onions are the only variety of onion that should be refrigerated. Other onion's all thrived more in a dark, dry climate and should be stored accordingly. Rather than just tossing them in the bottom of the pantry, try placing them in a paper bag with holes punched in it for them to breathe. This method, along with others such as hanging them in pantyhose, will double the overall lifespan of your onions. Onions should only ever be stored in the refrigerator or freezer after they have been sliced or chopped. In these instances, the remaining onion should be placed in a zip top bag or air tight container. How Long Can Onion’s Last? The life span of your onions has a great deal to do with which type of onion you are storing. Sweeter onions, such as Vidalia’s, have a shorter lifespan. They have a higher moisture content and less acid in them to keep them, fresher, longer. While, other onion species, such as white and red, have a far longer shelf life. The life span of onions all depends on how they are stored. If you place them on the counter in a basket or even in a dark drawer in a basket, you will get around 1-2 months out of the onions before they rot or sprout. As for sweeter onions, that lifespan is cut in half, and you will most likely see them begin to rot after 3-6 weeks. Properly storing your onions in a dark, dry area and prolong the life up to 3-4 months for most onions and 1-2 months for the sweeter varieties. Onions that have been sliced and appropriately stored in the refrigerator can last for up to a week. When frozen, these onions have a lifespan of 6-8 months but may experience a textural change when thawed. 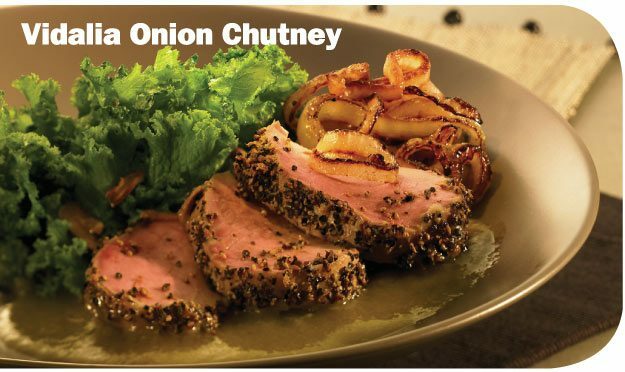 Whether you are an onion lover or you simply use them when it is required in a recipe, the vast variety of onions is one that can transform any home cooks flavor profile, just by experimenting with something different. Onion storage doesn’t have to be an intimidating experience and is easier than ever when you break it down by onion type. Do you have a favorite onion storage tip or trick to extend the shelf life of your onions? Let us know in the comments section!